Low Carb and Sport, is that possible? Who drives a lot of sports, also needs a lot of energy. And this energy gets our body from carbohydrates because only the care for the quickly needed energy kick. Accordingly, low carb would be totally unsuitable for athletes, but is that true? Well, that’s at least the common opinion in sports circles. But the low carb is not suitable for athletes, does not necessarily have to be right, because even athletes can take advantage of the low carb diet. Athletes often get too little energy from a low carb diet and lose weight quickly. The energy that the body gains from sugar (glucose) is stored in the form of glycogen in the muscles and liver, called glycogen stores. But once the storerooms are empty, for example after a marathon, then nothing works, you stand in front of the so-called “wall”. In this situation, the body literally cries for glucose. Since the body is not used to generating energy elsewhere (but this can be learned, just read on), in this situation, it can not respond appropriately and takes hold of the Holy of Holies: its muscle mass. Because of the so-called gluconeogenesis, it is possible for the body in such emergency situations to produce energy in the form of glucose from (the body’s own!) Protein. Of course, nobody wants to lose muscle. To escape this, gets the “fat metabolism training” on low carb basis, especially in endurance sports more and more importance. Carbohydrates are the number one source of energy for our bodies, but the amount of energy they can draw is limited. That limits performance, or rather, limits it. Carboloading and training try to make better use of and expand storage capacities, but in general, the possibilities here are limited. Therefore, more and more athletes put on the low carb diet. The principle is quite simple: Instead of heating the “motor” (body) with carbohydrates, they simply change the “fuel” (fat instead of carbohydrates) and rely on ketosis. Ketose instead of glucose, How it Works? So that your body can gain energy from fat or fat reserves at all, the fat must first be brought into a usable form for it. In this transformation, so-called ketone bodies are extracted from the fat cells and exactly these serve the body as an alternative energy source. And exactly this process is called ketosis. The body automatically switches to the ketosis metabolism if you take for a few days no or very little carbohydrates (less than 30 grams). The benefit of ketosis: Here, your body is constantly drawing energy from fat and fat reserves, and they are far from exhausted as fast as glycogen stores. And everyone can actively exercise their fat metabolism. 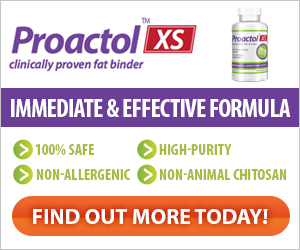 The decisive factor is that you have completed the adjustment phase to the ketosis completely. This may take several weeks, but it’s worth it if you persevere. Because at the beginning you are usually a little tired, but that’s over and you can fully in the sport. The Fat Decimator System Provides: Low carb & Sports, That’s Going! 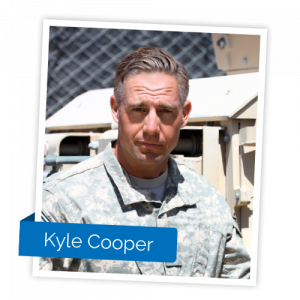 Fitness and nutrition expert, coach and former Marine Corps Gunnery Sergeant Kyle Cooper, creator of the renowned Fat Decimator weight loss system has graciously agreed to an exclusive interview. Kyle has already positively changed the lives of tens of thousands and continues with his life’s mission to help everyone conquer weight gain and recapture their youth, vitality and robust health. Samsahra: Kyle, what’s your experience with fitness and weight loss? “Well, after high school I enlisted in the Marine Corps. This wasn’t too long after 9-11 and I felt a strong desire to serve my country and, okay, get some payback for the people that had attacked us. Well, I’d played football in school, so the rigorous physical fitness and training of the Corps appealed to me. After serving and fighting in the Middle East, I moved to the special Force Recon division and earned the rank of Gunnery Sergeant. I not only was in charge of a unit but responsible for training my men and keeping them fit. Samsahra: What do you mean by some of that info was harmful? “It kind of leads into how I came up with Fat Decimator in the first place. While In Afghanistan a couple of years back, there was an incident where a National Guardsman attached to my unit was killed in a cave in the Khyber Pass while we were supposed to be going after Bin Laden. It was because he was out of shape despite everything I had been doing. Samsahra: So what is The Fat Decimator anyway? “It’s a weight loss and health plan that’s based on ancient knowledge from Asia that’s been independently studied and verified by a lot of clinical studies. Doctor Sam Pak, my Korean friend, introduced me to some of his research while we shared a bottle of Jack one night shortly after my man was killed. I kind of blame myself, you know… but Sam showed me some very hard data that really opened my eyes and revealed a whole new way of thinking about losing weight. Samsahra: So how did your testing overseas turn into your life’s work? “It’s an interesting story, and kind of involved, so I’ll try to give you the highlights. You can always learn more by watching the Fat Decimator video, but here’s kind of the short version. Then I met Sharon Monroe. She’s a mom in her forties who at the time was 40+ pounds overweight and had just found out that her heart wasn’t doing so well. In fact, her doctor said she should start planning for the worst. Well, Sharon and I met, and I believe to this day that God put us in each other’s path. I was there to show Sharon how to change her life, and she was there to show me in no uncertain terms that what Sam and I had created was to be my life’s mission. To help people like Sharon and anyone else to lose weight and come out with a stronger, healthier body. To know exactly what to do and what not to do – that’s important. Samsahra: So who is Fat Decimator for? “Honestly… it’s for everyone. 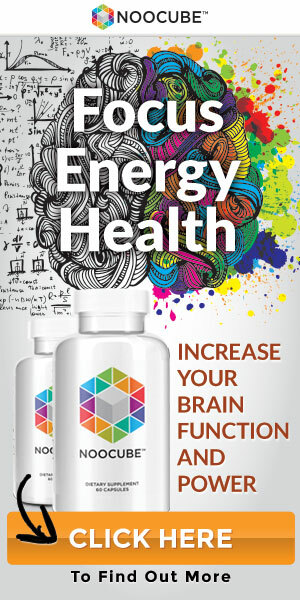 Tens of thousands of people all over the world have used it and I’m constantly bombarded with emails from folks raving about how it’s changed their lives. And not just how they lost weight and look better… I get stories about wives who say it’s saved their marriages, husbands who say the same. I hear from men and women who say my program literally pulled them back from the brink of death. Even kids who were on the fast track to obesity turned their lives around. It’s really humbling. Samsahra: Why does your program work so well? “Well, aside from the information that explains what to eat, what not to eat and what herbs are healthy and how to exercise properly with a minimal investment in time with a maximum return in results… and how to put your mind right, too… Fat Decimator does something else that’s really important. But think about it – if all this crap worked so well, there wouldn’t be a fitness industry, would there? Look at medicine, too. If big pharma and the medical industry was so effective, they’d have no more customers, right? Samsahra: Are there secrets in your program? “Hmm… I guess you could say that. Only because over here in the land of the quick fix and the ready pill, we’re not privy to what ancient cultures like the Chinese, Vietnamese, Japanese, Indians and Koreans have known for thousands of years. Click on the link here for more information about The Fat Decimator Program. Samsahra features current health news, recipes, workout, fitness courses, preventive care, and so much more. Find weekly beauty & healthy tips or current trends and practices in weight loss and nutrition world. Take care of yourself every day in a simple way and stay focused on a hearty living. © 2018 - 2019 Samsahra. All rights reserved.